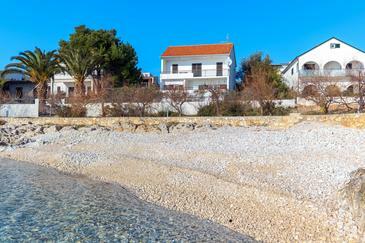 Last minute offers on Rogoznica apartments, villas and hotels. Book your accommodation in Rogoznica now and get up to 30% discount. In the middle of Dalmatia is located the town of Rogoznica, a attractive settlement positioned on a peninsula where you still can enjoy the old-fashioned lifestyle of Croatia. Town is situated in a deep cove protected from strong wind, approximately 30 kilometres from historic town of Sibenik. Rogoznica is well known as one of the most attractive and most safe harbors, and that is why sailors prefer to stop by. The town has its own marina, marina Frapa, located in the Soline gulf and manages 400 top class boat anchors. Sporting fans can take pleasure in various water sports, treking and lots of other adventures. Stroll along the coast at night, checking out taverns, cocktail lounges and take pleasure in the fisherman's night festival in Rogoznica.
. With its specific location Rogoznica stands for an ideal place, a fantastic starting base for all types of trips in the closer and broader area (when accommodated in Rogoznica, you can have everyday tours to all most prominent places, perhaps even to Dubrovnik at south or National Park Plitvice to the north). Regardless if you're after an unusual holiday break or a last minute vacation, Primosten-Apartments.co.uk is the one stop shop for all your requirements. 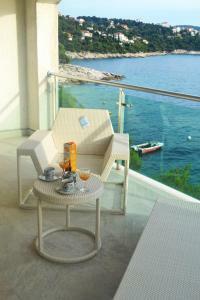 You'll have to hurry however, these price cuts are one-off last minute Rogoznica offers that can vanish at any moment. You can book these last minute apartments, hotels and villas on-line! 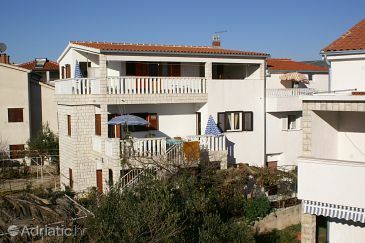 Cheap accommodation Rogoznica, max 6 persons, recommended by travellers ! 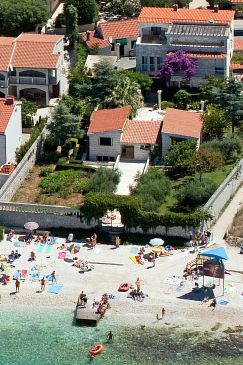 town of Rogoznica price per day from € 79 If you wish to spend your vacations in Rogoznica, then this accommodation is ideal for you. General details: barbecue, parking. Entertainment and Sport: outdoor grill, Satellite television. 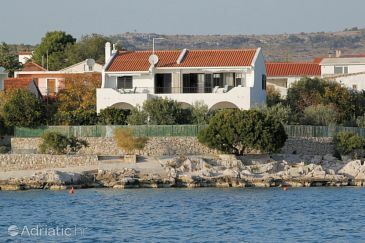 Cheap Apartment, max 4 persons, great sea views town of Rogoznica price per day from € 66 Those seeking peace and quiet during their family trip in Dalmatia, will find it in this apartment, situated just a few meters from the sea. Apartment is equipped with comfortable furniture and modern appliances. General details: heating, barbecue, parking, outdoor shower. Entertainment and Sport: outdoor grill, Satellite television. Apartment near the beach, 65 square meters, 79 eur per day town of Rogoznica price per day from € 79 In the apartment in Rogoznica you will have the opportunity to feel a real Mediterranean ambience in a beautiful house surrounded by the dense greenery and positioned only a few meters away from the crystal blue sea and charming beaches. Distance to the marketplace: 900 m. Distance to the beach: 50 m. Distance to the restaurant: 900 m. Entertainment and Outdoor activities: bike, outdoor grill, Satellite television. 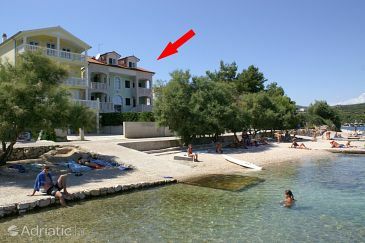 Apartment, 55 square meters town of Rogoznica You can enjoy in the sunlight and swimming in the natural crystal clear sea, going to many restaurants, movie theaters, exhibits, historical monuments,churches, museums and galleries. Entertainment and Outdoor activities: boat, TV, Satellite television. Distance to the restaurant: 1.5km. Distance to the train: 50km. Distance to the bar: 1.5km. Distance to the ferryboat: 50km. Apartments Stella Maris town of Rogoznica price per day from € 32 Please inform Apartments Stella Maris in advance of your expected arrival time. You can use the Special Requests box when booking, or contact the property directly with the contact details provided in your confirmation. 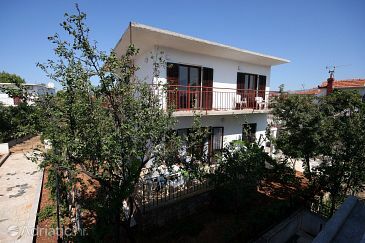 Accommodation, 104 square meters town of Rogoznica price per day from € 106 Book accommodation outside the center of Rogoznica and enjoy the great family vacation in one of the most famous seaside resorts in Dalmatia. In addition to the spacious courtyard with a beautiful garden and a private parking, this house provide you with comfortable interiors, fully equipped with modern conveniences. Distance to the restaurant: 5000 m. Distance to the beach: 180 m. Distance to the marketplace: 2200 m. Kitchen information: fridge, microwave, stove. Accommodation, max 11 persons town of Rogoznica price per day from € 108 If you are looking for a good base for exploring the breathtaking, historic city of Rogoznica, book online house, in a quiet surroundings and very close to the town center. Entertainment and Outdoor activities: outdoor grill, Satellite television. Distance to the restaurant: 2100 m. Distance to the beach: 90 m. Distance to the marketplace: 350 m.
Cheap accommodation, max 11 persons town of Rogoznica price per day from € 164 Trendy house will provide every thing you need for your awesome holiday getaway. Check out the many historic and cultural sites and take memories from holidays as great souvenirs. Entertainment and Outdoor activities: outdoor grill, Satellite television. Distance to the restaurant: 750 m. Distance to the marketplace: 750 m. Distance to the beach: 20 m.
Accommodation, max 10 persons town of Rogoznica If you want to spend your vacation with your family members, book this house in Rogoznica. Vacation house is located in a peaceful part of Rogoznica with beautifully decorated rooms with lots of light, garden surrounded by greenery and flowers. Entertainment and Outdoor activities: TV, Satellite television. Distance to the restaurant: 3km. Distance to the train: 37km. Distance to the bar: 3km. Cheap accommodation, max 8 persons, with garden town of Rogoznica Vacation house is situated in an ideal place for checking out the attractive city of Rogoznica, while nevertheless having the ability to enjoy in all the delights of summer in vicinity of gorgeous pebble beach. 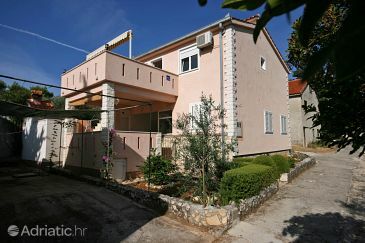 Rent this top quality and modernly furnished house situated in the city of Rogoznica and most suitable for travelers who love to enjoy the peacefulness and calmness of Croatian coastline, while still having the ability to enjoy in everything city life has to offer. Entertainment and Outdoor activities: boat, TV, Satellite television. 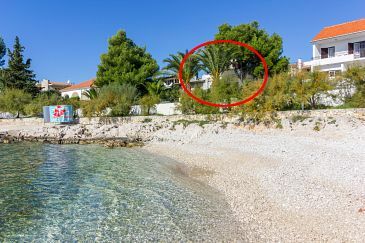 Apartment near the beach, max 4 persons, internet connection town of Rogoznica price per day from € 40 Apartment near the beach, max 4 persons, internet connection. Distance to the marketplace: 400 m. Distance to the beach: 10 m. Distance to the restaurant: 400 m.